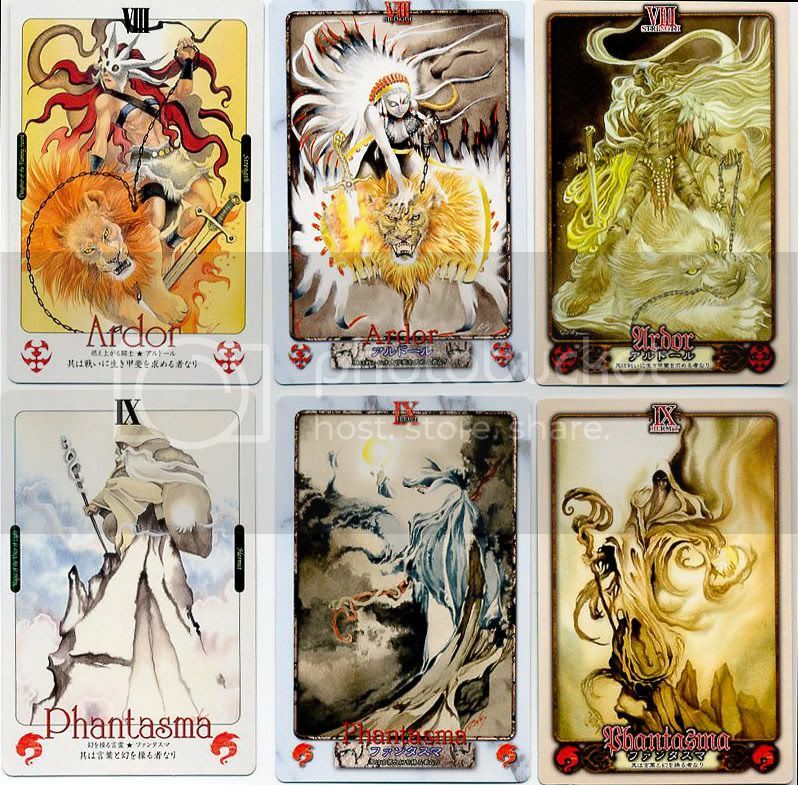 Among those of us who collect Japanese tarot, the Blade of Arcana tarot is fairly well known, having been listed on the Tarot Garden site for some years. 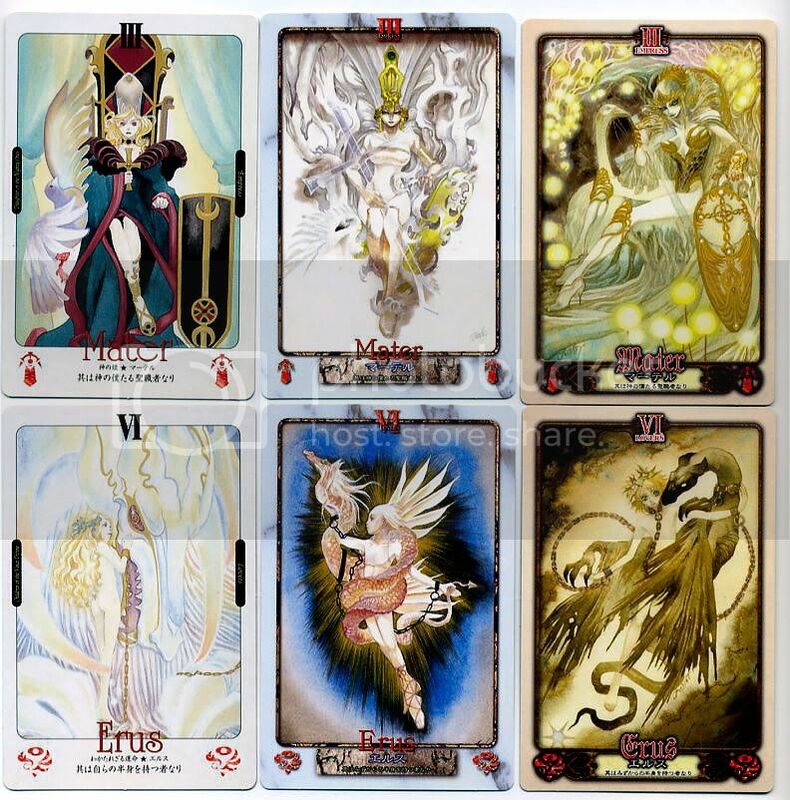 Created by the artist Junko Taguchi, the cards accompany the rulebook for the TRPG of the same name from the company FarEast Amusement Research ("F.E.A.R." - really). 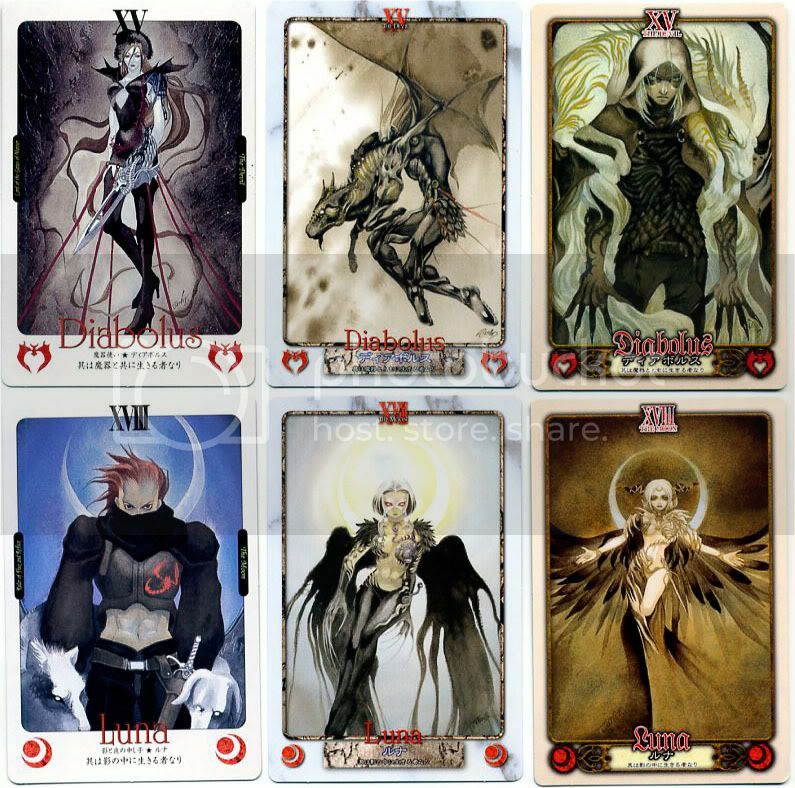 Unlike some Japanese tarots that are simply promotional items for a video or computer game, the Blade of Arcana cards are actually an integral part of the game-play system. What I only recently discovered is that the deck referenced at the Tarot Garden is only one of three different Blade of Arcana tarots. That one came with the first edition of the game - released in 1999. A second edition of the game was released in 2001 and a third edition in 2006. Each included a new version of the cards, all by Taguchi. After some hunting, I've finally managed to acquire all three versions and thought it might be interesting to see how Taguchi approached three stylistic iterations of a deck with some very specific thematic requirements. 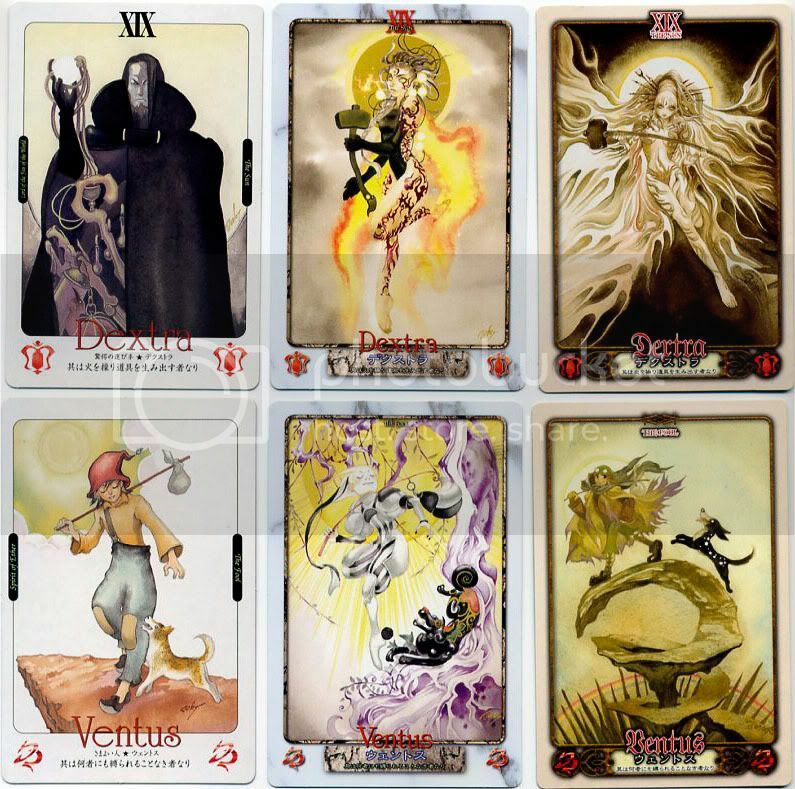 Specifically, each card includes the traditional tarot card name as well as the Latin name of one of the 22 associated Arcaeus (apostles of light) that are a key part of the game world. 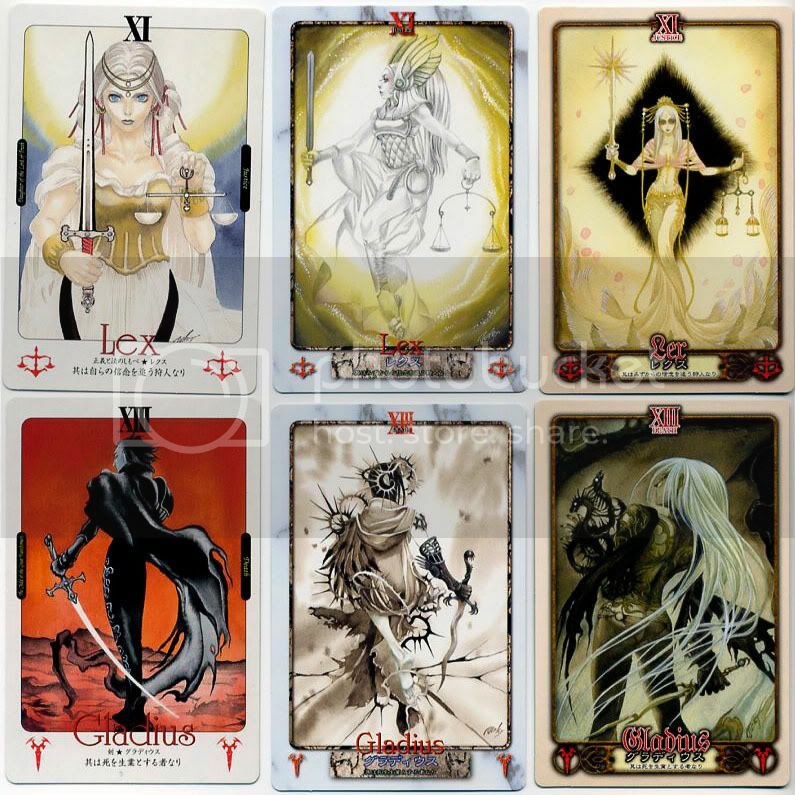 In many (but not all) cases, the Arcaeus correspond in some way to the cards' traditional tarot symbolism. All in all, a rather attractive and intriguing set of decks.